Claire Temple comes to Harlem in order to visit her mother, Soledad Temple, but has her purse stolen right after arriving. She chases down the robber, watched up to him, and beats him enough for him to give up her bag. Stokes meets with some associates about the significant loss in his funds and what must be done in order to start making back their money. 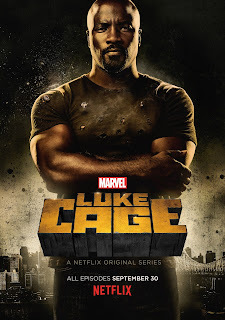 Stokes kills one of the men when they suggest that they should just leave Luke Cage alone to take his portion of the city and they will focus on theirs. The plan that's formed is for Stokes to send his men to turn up the pressure on the citizens of Harlem. By extorting more money from them, he will be able to make back the money that was taken from him. Stokes also tells his men to tell these citizens to confront Luke Cage is they have a problem with the increase in the 'tax' rate. A woman seeks out Luke's help after some of Stokes' men steal her father's championship ring while roughing up her shop to extort money. She delivers the message that Stokes has had his men extorting the neighborhood and telling the people to ask Luke Cage why they need money. Stokes hopes that the people of Harlem will force Luke out since he can't be killed. Luke is willing to leave Harlem but only after he does right by Pops. Claire finally reunites with her mother and tells her about her experiences helping enhanced people, including Luke Cage. Claire feels that this is her calling in life. Luke has begun fighting back against the men Stokes has unleashed on the neighborhood and returns the belongings stolen from them. This leads to Luke confronting Stokes at the club and Shades recognises and identifies him as Carl Lucas, as the two were in prison together. Shades reveals a new, high-tech weapon called the Judas bullet that is strong enough to have a shot at killing Luke. It is built from alien material and designed from a prototype stolen from Hammer Industries that is undetectable using metal detectors, burrows into the subjects, and explodes and incinerates all forensic evidence. Stokes can't afford the bullet so Shades says the only other option to access it is to call Diamondback in to kill Cage himself in exchange for handing over control of Harlem to him. But Stokes doesn't want to give up Harlem so he comes up with an alternative approach which is to steal the weapons from the deal-gone-wrong with Colon. From there, he can sell the weapons to buyers that can give him enough money to afford to buy the bullet. Misty is informed by NYPD Captain Betty Audrey that her partner, Scarfe, is under investigation but Misty is skeptical that her partner could be dirty. He later takes the weapons from the police evidence that Stokes is after but doesn't actually deliver them to him. Stokes tries to make a play during the memorial service for Pops but Luke gives a speech immediately thereafter that rallies the neighborhood to his side and to not allow Stokes to easily muscle them and extort money.